Radcliffe Tower was built in the early fifteenth century as an addition to an existing hall house. It was owned by the powerful Radcliffe family and remained their family seat until the sixteenth century. Thereafter the site was allowed to drift into ruin and by the late seventeenth century the tower had been relegated to a farmstead. Radcliffe is located within a wide loop of the River Irwell and takes its name from the red sandstone cliffs overlooking that waterway. A manor was established at the site during the Saxon era and, by the time of the Domesday survey on 1086, it was in Royal ownership. By 1193 it had been granted to an Anglo-Norman family who took the name de Radcliffe. 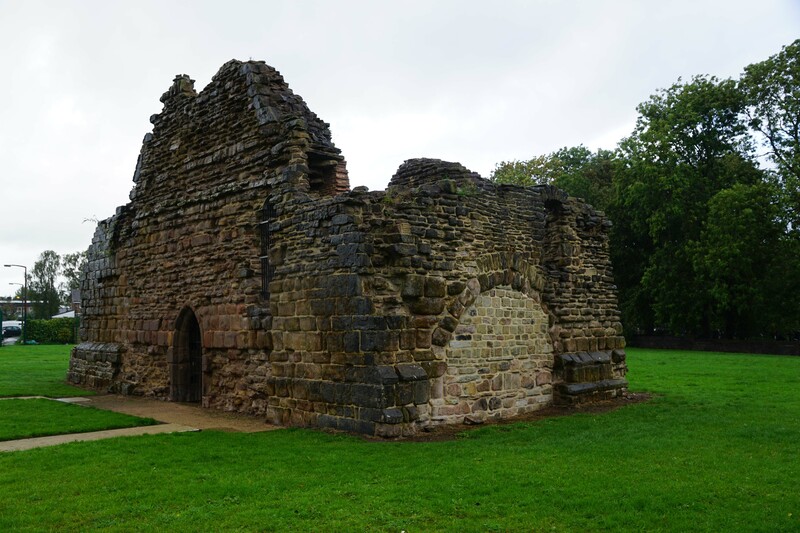 This family rose in prominence during the thirteenth and fourteenth centuries during which period they acquired the manors of Todmorden and Winarleigh plus Ordsall Hall and Smithhills Hall. Furthermore, in the mid-fourteenth century Richard Radcliffe held the position of Sheriff of Lancashire. 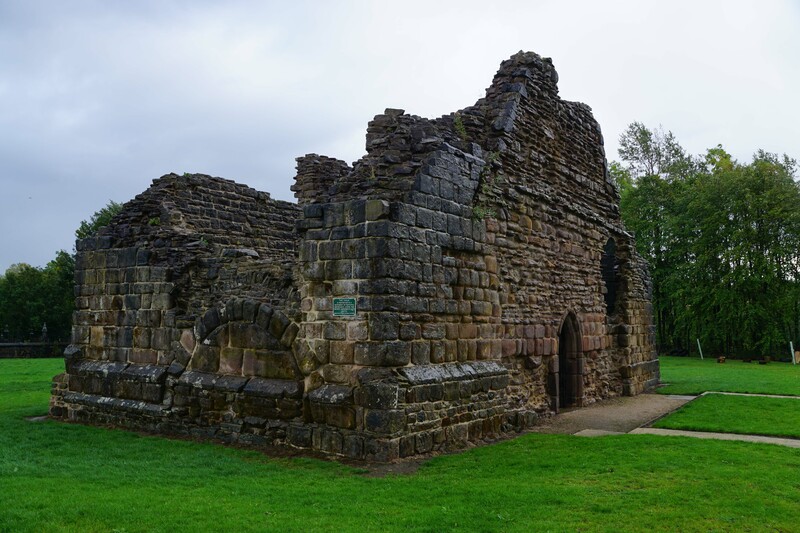 The family retained Radcliffe as their family seat and clearly some form of fortification existed on the site as in 1358 Richard was described as being 'of Radcliffe Tower'. 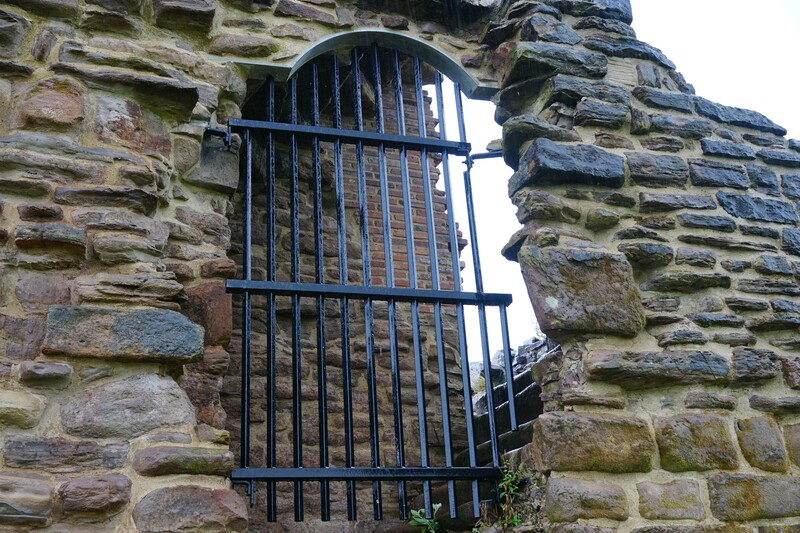 However, the structure seen today was raised after Henry IV granted James Radcliffe a licence to crenellate in 1403. The tower consisted of a substantial stone structure with walls over 1.5 metres thick. The ground floor was a vaulted chamber which served as a storeroom and as the kitchen whilst the floor above was used for private chambers. The structure was never intended to stand alone and was paired with a timber framed hall that was connected to the western side of the tower. A second stone built tower was probably intended to be constructed at the western end of the hall, as a replacement for a timber framed manor house, although it is not clear if this was ever built. The main line of the Radcliffe family failed in 1518 and thereafter the Radcliffe Hall declined in importance. It was sold to the Assheton family in 1561 but they seemingly made little use of it although records show that Henry Stanley, Earl of Derby imprisoned a group of recusant widows within the tower in 1592. By 1670 the site was being used as a farmstead. The tower was sold again in 1765, this time to the Wilton family, but they neglected the structure and by the nineteenth century it was ruinous. The timber framed hall was being used as a hay loft and cow shed by the 1830s and was demolished circa-1840. Clare, T (1981). 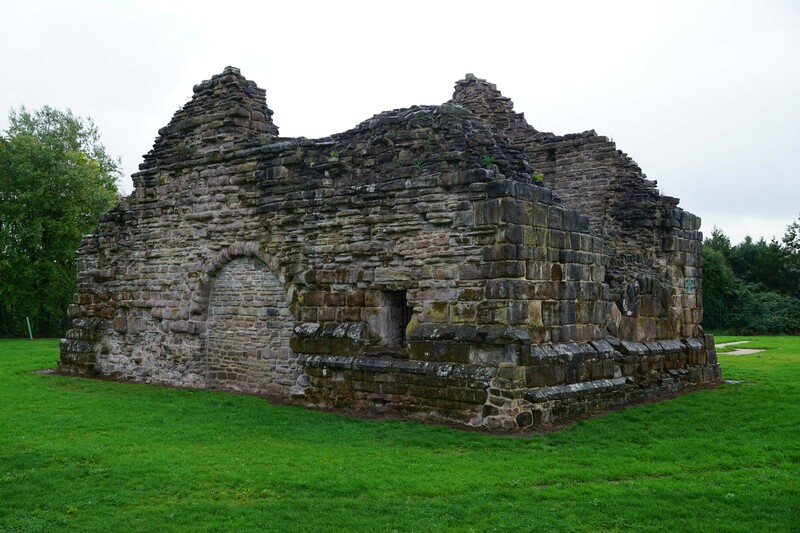 Guide to Archaeological Sites of the Lake District. Moorland Publishing. Historic England (2016). Radcliffe Tower Caste. Listing Number 1309271. Historic England, Swindon. Salter, M (1998). The Castles of Cheshire and Lancashire. Folly Publications. Radcliffe Tower consists of the masonry remains of a semi-fortified structure that was originally connected to a timber framed hall and manor house. Radcliffe Tower. Although described as Radcliffe Tower, the stone remains are actually that of a cross wing. Much of the fine masonry that once fronted the tower has been stripped away. Hall. 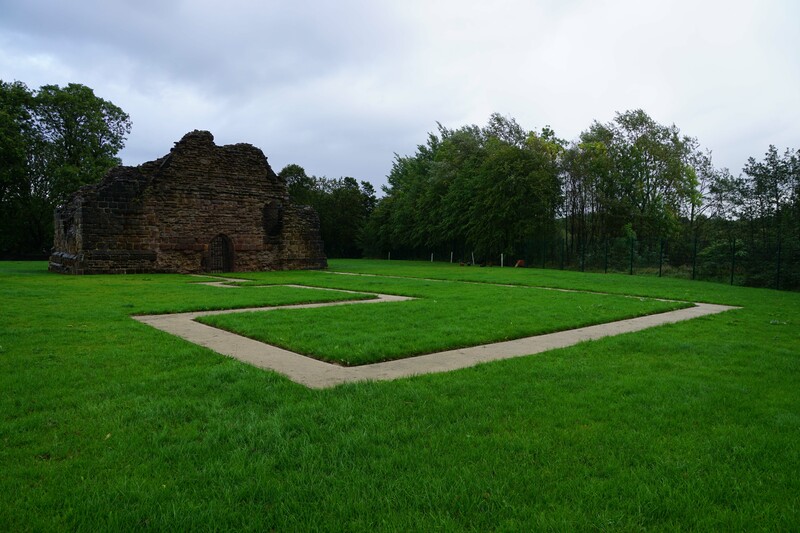 The footprint of the hall and manor house are marked by a gravel trace. The latter was probably intended to be have been rebuilt concurrently with the tower although there is no evidence this ever happened. Arched Openings. 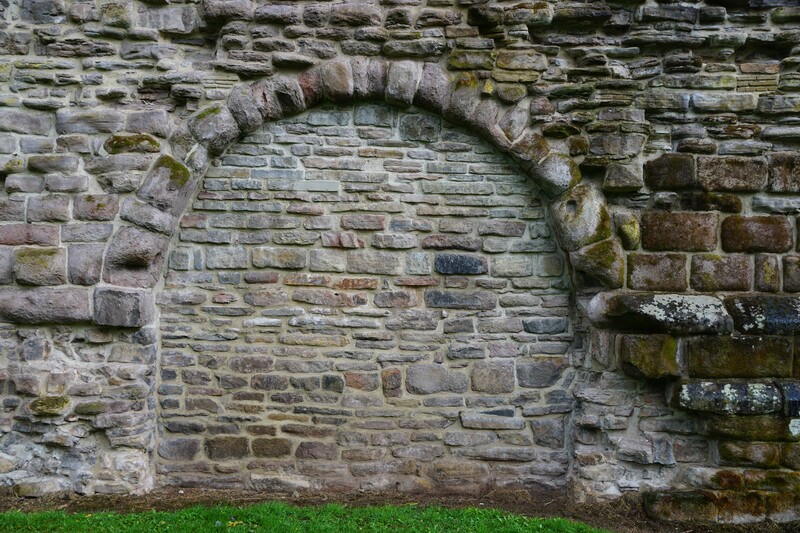 The blocked up arches are post-medieval fireplaces which were converted into arched openings when the tower started to be used for agricultural purposes (from the late seventeenth century onwards). Stairs. The stairs led directly into the connected timber framed hall. Radcliffe Tower is located just off the A6053 in Radcliffe Park. There is a dedicated car park.